The late Diana Hoenig ’85 M.S., an NJIT “woman pioneer” in computer science, included the university in her will. 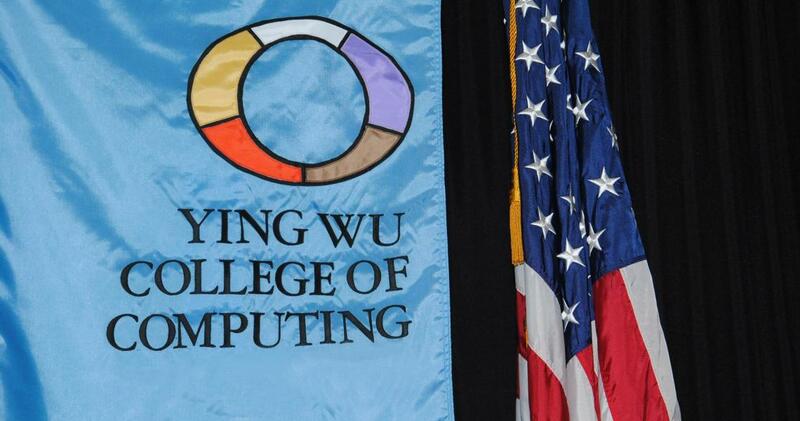 Allison Manzo, a Ying Wu College of Computing (YWCC) and Albert Dorman Honors College student, didn’t know what her professional passion was after graduating from North Arlington High School. She eventually discovered her interest in the intersection of psychology and technology and transferred to NJIT from Bergen Community College, attracted by YWCC’s human-computer interaction program. Manzo has since flourished and her hard work has been noticed. She, along with fellow YWCC student Emma Ramos, was named a lead recipient of scholarship funding that will help pave a smoother path toward earning a college degree. It’s all thanks to the late Diana Hoenig ’85 M.S., an NJIT “woman pioneer” in computer science who included the university in her will with an endowed scholarship for deserving students of YWCC. The Diana Hoenig ’85 Endowed Scholarship provides assistance to full-time, academically talented undergrads that maintain a minimum 3.0 GPA and demonstrate financial need. The YWCC dean selects the recipients. “Diana always spoke very highly of NJIT and wanted to leave most of her savings to the university to prompt women to apply for scholarships in the math and engineering fields,” said Bonnie Claypoole, co-executor of Hoenig’s estate. Hoenig grew up on a small farm in western Pennsylvania, was an undergrad in mathematics, and began her career as an urban high school teacher near Newark. When she set her sights on career advancement, she decided to pursue a master’s degree in computer science and chose to study at NJIT, taking classes at night while teaching during the day. After receiving her degree, she accepted a position at AT&T/Bell Labs in Whippany, N.J., where she developed software for such early wireless technologies as analog and time division multiple access. She so excelled in her field that she was promoted to technical manager of a software development group focused on code division multiple access wireless technology. A staunch advocate of women in math and engineering, she played an integral role in establishing the company’s Take Our Daughter to Work Day program. Ramos, an information technology major with two more years of undergraduate study, is one of those young women. She came to NJIT based on the renown of its computing programs and proximity to her home in Piscataway. She looks to advance in the computing field, a goal made all the more reachable with her Hoenig scholarship.